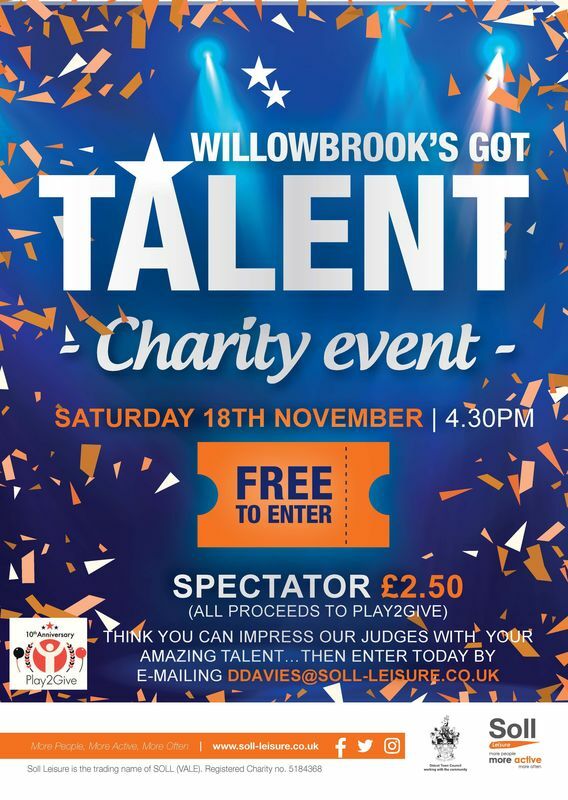 In partnership with Play2Give, Willowbrook Leisure Centre in Didcot is hosting its own version of the hit TV show, Britain's Got Talent, with all funds raised from this fun, exciting event shared between P2G and the Children in Need Appeal. This event is taking place as part of Willowbrook's Open Day fundraiser on Saturday, November 18 when between 10am-4pm there will be a range of stalls in one hall and in the other hall lots of fun for children with taster sessions, bouncy castle, obstacle course and more. There will also be a raffle and refreshments sold. 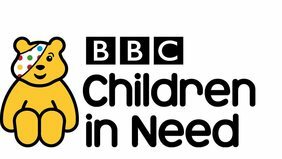 Help children in need and P2G causes through taking part in this hilarious take on the hit TV show, and get entering your act now. We want to see a variety of acts take part, and you will face a panel of judges including P2G's very own Andy Baker! A huge thank you to Amanda Mann and the team at Soll Leisure for organising this superb event.